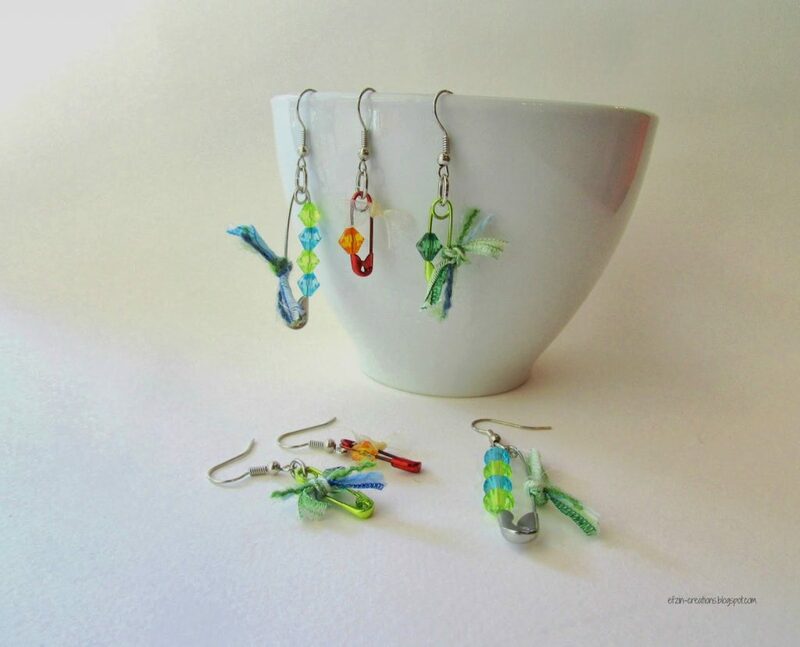 Have I told you that I am a fan of recycle and fan of creating things from unusual materials? Yeap, I love that. I have created so far a few jewels with sea pebbles (ring, bracelet, necklace)and they were adorable. And of course I cannot forget the pasta necklace I have created with my princess as a game! 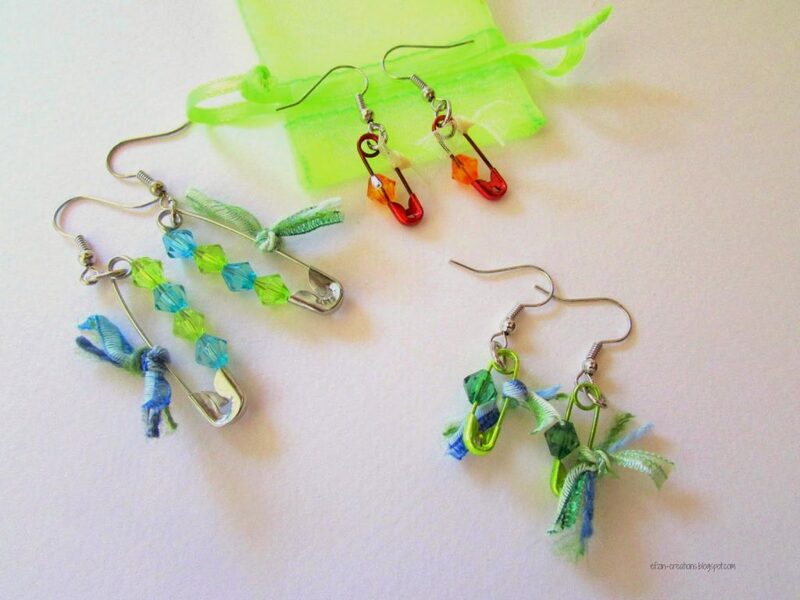 So another great jewel and specifically dangle earrings in beautiful colors perfect for this season, is from…safety pins!!! Now you are going to need only 5min to done this..easy and fast. 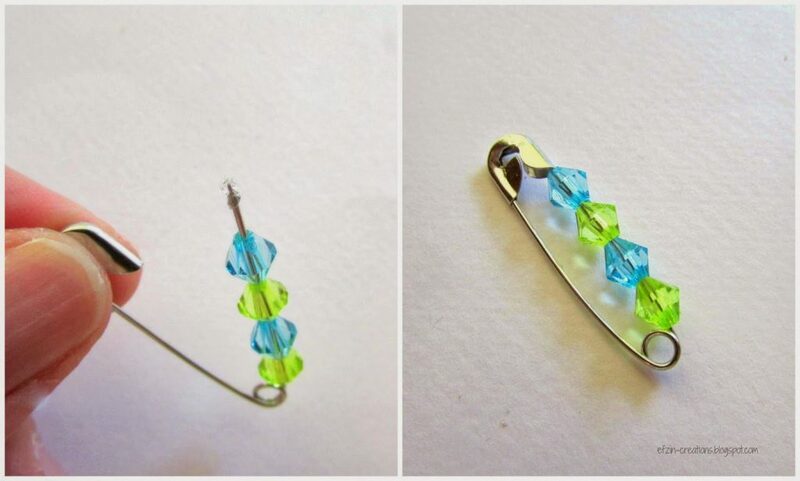 First of all, open the safety pin and put your beads in it. 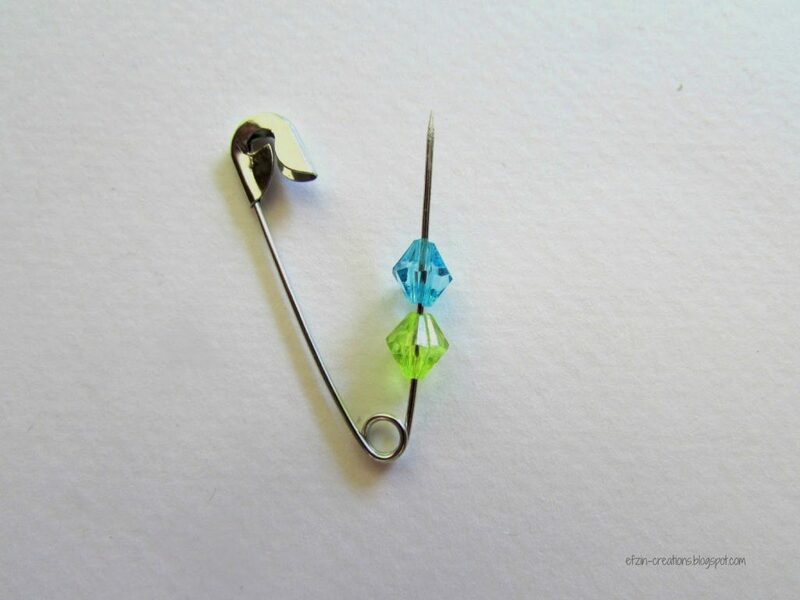 Add some glue in the end of the pin and close it. the pin will remain in this way closed and this is safer of course! 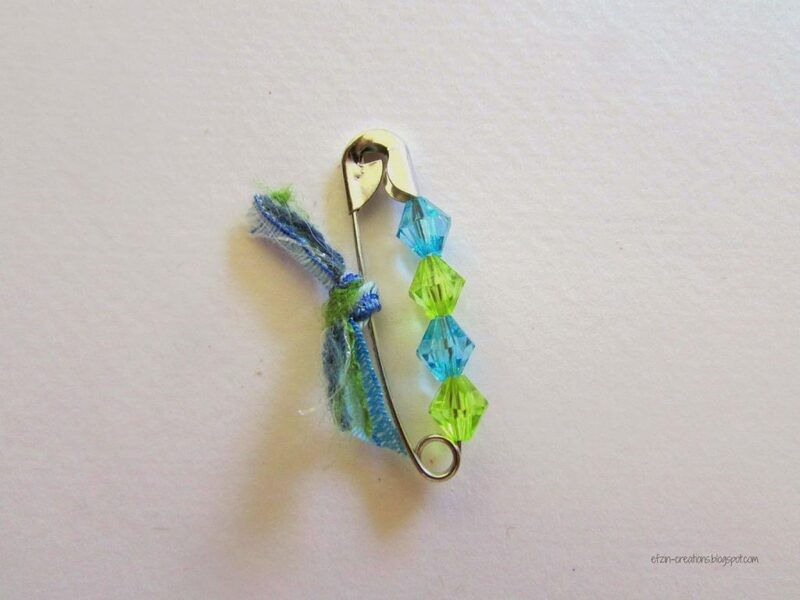 Use a small piece of your ribbon to create a bow or just a knot, on the other side of the safety pin. Doesn’t have more color now? of course you may use instead of ribbon any colored cord or small piece of lace or even wool, as I did for the specific pair. 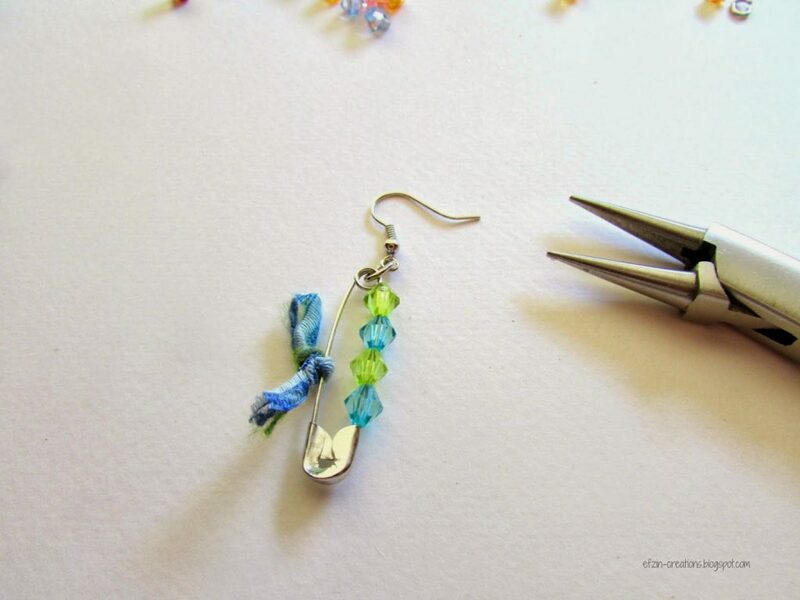 Connect the safety in to the earring hook with the jump ring and your jewel is ready!!! isn’t it adorable? 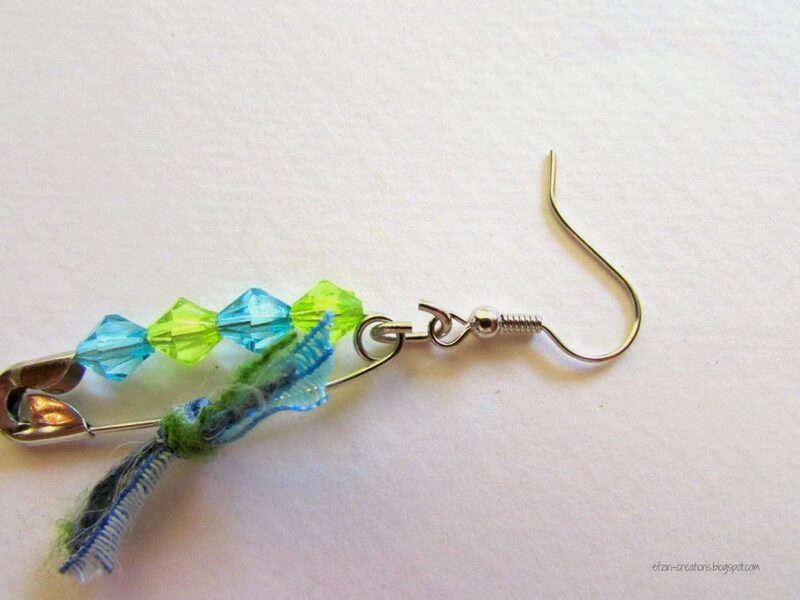 you can craft as many earrings you want in many different colors and with many different materials. 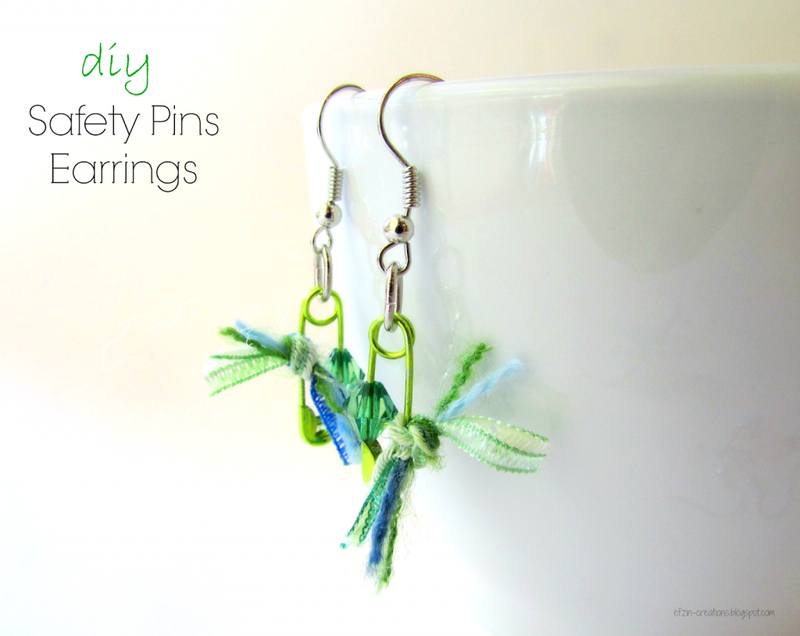 I have created three pair of earrings with different safety pin types and colors. Three of you that you are going to comment and share the post, will have the chance to win them. Winners will be announced on Monday 24th of March. I love the colored pins! These would be perfect (and economical) for bridemaids to wear for the right bride's edgy wedding. 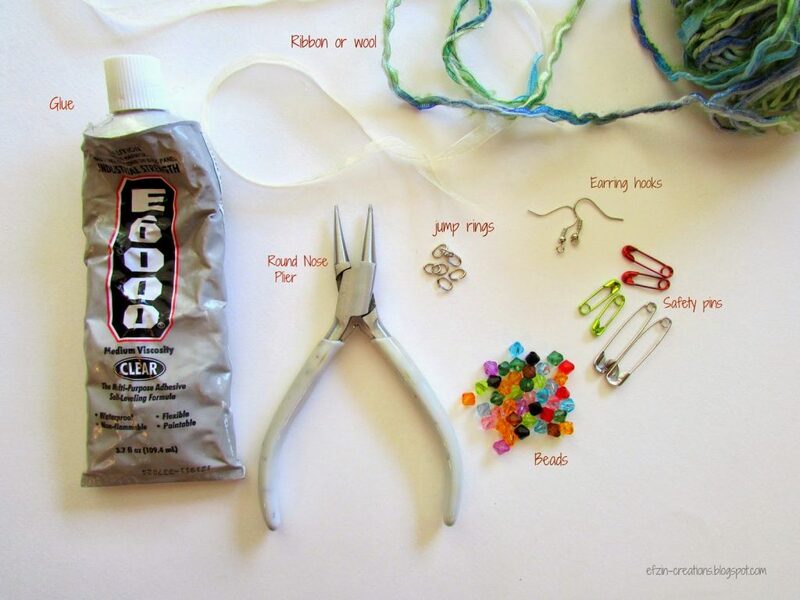 DIY Chain Tassel Beaded Earrings and a Giveaway very beautiful i like this. A blog about ecommerce marketing, running an online business and updates to Shopify's ecommerce community.